Corolla gets the status of world's best-selling vehicle model in 2013 with global registrations of 1,098,524 units. 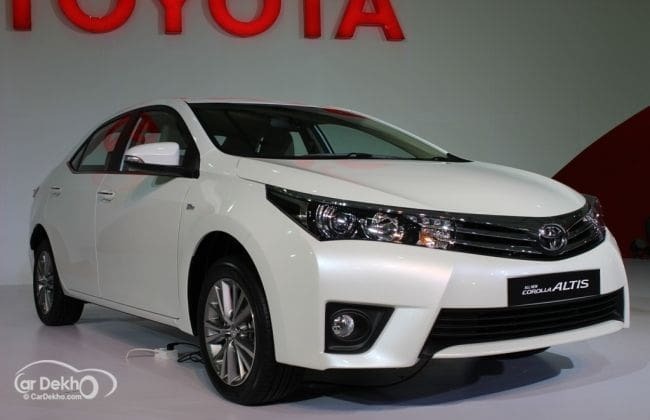 Now, the new Corolla would help the Indian arm of the company churn better business this year. Talking about the upgrades, the new Corolla will come with exterior elements like LED daytime running headlamps, LED clearance lamps and new 16-inch alloy wheels. While inside the cabin it receives dual tone interiors, ayber carbon piano black instrument panel cluster, 7-inch touch screen, rear reading lamp and many others. The under hood details are kept intact thus it carries the same 1.8-litre dual VVT-i gasoline and 1.4-litre D-4D diesel engine.